Macedonia secretly aimed for a place at the next World Championship but after three consecutive defeats, all of them with over ten goals difference in the Preliminary round, it became perfectly clear that the dreams will not become reality. Now the host team has a new mission. Quite different than chasing placement among Top ten teams at W17 EHF Euro Macedonia. All that is left for the Macedonians team is try to steal some smiles and applause from the audience and to prove that after all they had the quality and deserved its place among best European teams. On the other side of the court stands Spain. They also failed in the attempt to reach Main round, but played a key role in elimination of mighty Germany. That victory and the two points taken from the biggest rival boosted their ambitions. Now they have an open road to the next World Championship only with Macedonia and Czech Republic standing between. With that in mind, Spain came strong into the match and successfully defend their net in first seven attempts of the Macedonian team. After seven minutes when host finally manage to scored it was 4:1 for Spaniards. Very weak attacks of the host team made things easy for Spain so head coach Felix Baz gave a chance to the players from the bench. That lead to couple of mistakes more but 11:2 lead after 20 minutes were more than enough for the Spaniards. The worst thirty minutes for the host on this tournament were underlined with only five goals scored and 16 against. The host team remained powerless in the second half also. Ten minutes before final whistle Spain had 30:13 lead, and finished this match with giant 35:16 victory. “I don’t know what to say. This was the worst game that we ever played. We played without motivation, with no passion. I am very disappointed”. “Very easy match. In my opinion Macedonian team was better today, compared to the previous matches. In the first minutes of the match my team was really good both in defence and in attack. The final result has strong influence of the mentality of the players and that’s very good for their self-confidence. As for the expectations of the championship… Czech is a good team, but we are focused on the 9th position”. 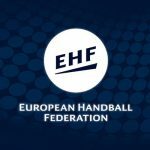 W17 EHF Euro Macedonia Handball is official webpage with all the information about Macedonian handball team at EHF Euro. We are supported from IHF – International Handball Federetaion and all the post and news on our site are official. Sports Center “Boris Trajkovski” in Skopje, built in 2008, is named after the Macedonian President Boris Trajkovski (1956-2004) who passed away in a tragic plane accident. It is located in the municipality of Karposh. Within the Sports Center “Boris Trajkovski” there is a multi-functional sports hall that is used from many Macedonian National Teams in many different sports. The multi-purpose hall is also used for cultural events. Sports Center “Jane Sandanski” is a multi-functional sports object that includes the main hall with a capacity of 6.500 seats, small sports hall with a capacity of 1000 seats, conference room, fitness and aerobic center, sports shop, and the “Jane Sandanski” complex also has four recreational tennis courts, and an elite 5-star hotel “Russia”. 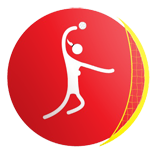 © EHF European Handball Federation	| Theme: News Portal by Mystery Themes.